Specially designed to accommodate groups! Whether it is a birthday party, reception, reunion or a corporate function, relax…and let us take care of you. Our flexible configuration has two sets of 10 lanes on opposite ends of the complex with separate sound systems, enabling us to section off one side for your event, or we can accommodate up to 300 guests with our full venue buyout. 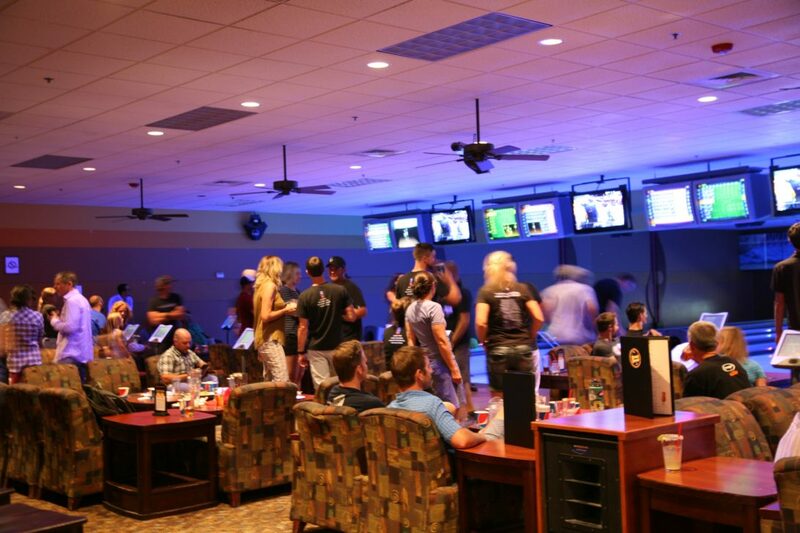 Enjoy private bowling with customized lighting and music to enhance your guest’s party experience. 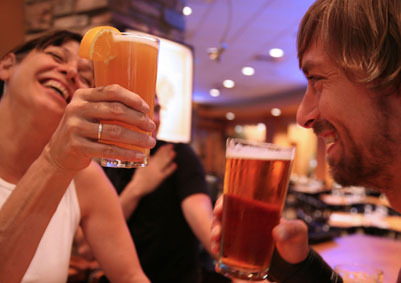 Our friendly servers will pamper you with our many food and beverage selections. We offer a number of bowling options from our very popular two hour bowling package for adults and kids over 12 years old, to a la carte one hour time slots for kids younger than 12 years old that can be combined with an hour in our cafe for pizza and cake (See Group Rates Tab Below). For your safety, and to avoid lane congestion, the number of lanes needed for all group functions will be based on 5 guests per lane, regardless of whether the guests are bowling during the event. Our rooms can be linked together, depending upon group size and needs. Utilize the private meeting room for board meetings, private dinners and multi-media presentations. A variety of unique banquet options are available for any group size. We can customize buffet menus or plated dinners to complement your event. 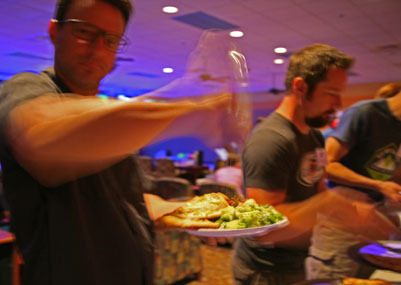 You and your guests will enjoy an unforgettable party or group function at the lanes or in our cafe and sports lounge.